To become a “category of one” brand is the holy grail of branding. 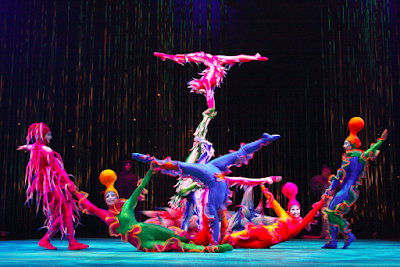 What does it mean to become a “category of one” brand? It means that no other brand is even in the same category as your brand. Your brand has created a new category – one that matters to people. What does it take to create a “category of one” brand? Intuition, insight, vision, risk-taking and an entrepreneurial spirit. Central to creating a “category of one’ brand is envisioning and innovating the new category. This will certainly create buzz and a huge amount of free publicity. It will also create new demand. The people to whom it is targeted will want to try the new brand. And then they will want to spread the word about what they experienced. Word-of-mouth marketing is significant for “category of one” brands. Creating a new category also creates a first mover advantage, and depending on how fast one can scale up, significant economies of scale and network effects. This creates tremendous financial advantages for the “category of one” brand and barriers to entry for me-too brands and other subsequent competitors. Eventually, other brands will enter the category, especially if it is large, profitable and growing. However, if your brand is the one that created the category and it scaled up fast and took advantage of the category creation buzz, it should have financial advantages and mindshare advantages. Are there currently or will there soon be competitors to each of the above listed brands? Sure, but there will likely never be another Cirque de Soleil. Being a “category of one” implies a fair amount of innovative thinking, product innovation, often system innovation and usually business model innovation. So “category of one” brands can even be quite disruptive. Consider Amazon.com when it was first introduced or eBay when it was first introduced or Uber today. Brands that innovated new categories must take charge of and credit for those new categories and they must grow them quickly or they might lose their advantage. Kodak created digital photography but consider its position in that market today. Who created the smartphone category? Who owns it today? Who created the MP3 player category? Who owns it today? Is it even relevant anymore with the emergence of the smartphone category? Which brand created airport rental beds? Is that brand still dominant in the category? Instead of trying to differentiate your brand within an already crowded product or service category, consider creating a “category of one” instead. It is more fun. It will create more buzz. You will get a lot more free publicity. And, if you do it right, your brand will grow at an amazing rate. To read my post on seven strategies to create new business categories, click here. We offer a full day workshop in which clients explore alternative category definitions, competitive frames of reference and preemptive brand positions to discover a potential “category of one” brand position. This highly facilitated workshop is preceded by stakeholder research. Its output is a recommended “category of one” brand position, which can be translated into a tagline, a marketing campaign and inform strategic business decisions. Please email us about how this workshop can benefit your brand. Brands tell stories. They create myths. They engage people. They entertain people. What story does your brand tell? Is it engaging? Does it create an emotional connection to the brand? What experience does your brand deliver? Does in connect with people through one or more of the five senses – touch, smell, sight, sound and taste? What feelings does it evoke? Does it calm people? Does it exhilarate them? Does it make them laugh? Brands often stand for something. They embrace a set of values. What does your brand stand for? What values does it embrace? Does your brand express the values of its intended customers? Can they wear the brand as a badge of their values? Can they use the brand as a self-expression vehicle? Brands have specific personalities. What personality does you brand have? Is it trustworthy? Is it reliable? Is it friendly? Is it smart? Is it innovative? Is it entertaining? Is it compassionate? Is it rugged? Is it stylish? Is it quirky? What personality should your brand have? How does your brand serve its customers? Does it have a service ethic? Does it strive to anticipate customer needs and exceed customer expectations? Does it try to surprise and delight its customers? What is your brand’s archetype? What drives it to behave as it does? What is its primary motivation? Does it like to guide others? Is it trying to save the world? Does it like to achieve? Is it a nurturer? Is its motivation to create the next big thing? What drives it to be the brand what it is? In what ways does your brand take on human qualities? As listed above, does it have a specific personality and does it hold certain values? Is it trustworthy? Does it make promises to its customers? Does it connect emotionally with its customers? Finally, what is your brand’s promise? What does it promise to its customers? Does it promise unique and compelling benefits or shared values? Does it consistently deliver on those promises? If it fails to deliver on one of its promises, does it recover from that failure and even turn the failure into a victory? This then is what a brand does. It tells stories. It creates experiences. It holds a specific set of values and it shares those values with its customers. It makes promises. It delivers on those promises. It provides services to its customers. It has an archetype and a personality. And it can do all of this because it is the personification of an organization and its products and services. Our brand management equity measurement system is comprehensive, measuring each of the five drivers of customer brand insistence – awareness, relevant differentiation, value, accessibility and emotional connection – along with other factors such as brand vitality, brand loyalty, brand personality and brand associations. Not specifying up front the purpose of the brand equity study, how you will use the results and what actions you might take based on the results. Defining the product/service category too narrowly, too broadly or otherwise incorrectly. Doing so will create the wrong competitive frame of reference in the respondents’ minds. Getting feedback on the wrong competitive set. Failing to include key competitors or including ones that don’t matter. If your brand has multiple levels of branding (parent brand, sub-brand, etc. ), testing the wrong level that has less meaning to category customers. Asking questions in the wrong order so that there is order biasing. One should always begin with the most general open-ended questions and conclude with the most detailed brand-specific questions. Not randomizing the response choices so that there is response choice order biasing. Not crafting a compelling enough survey invitation letter so that the response rate is very low. Biasing the respondents’ responses by sending the survey invitation from a specific brand. In particular, it will skew the open-ended top-of-mind brand awareness responses but it will skew other responses as well. Making the survey too long so that the complete rate is very low. People become fatigued and drop out of the survey before they have answered all of the questions. Asking leading questions, ones that beg certain responses. Not being consistent in how one presents response choices. For instance, modifying some with superlatives while not doing so for others. Or, presenting some in an active voice and others in a passive voice. Not planning for or achieving a large enough ending response rate so that the results are not projectable. Generally, for most populations, 383 or 384 ending responses will result in a confidence level of 95% +/- 5%. If you want to perform analysis on subsets of the data, you will need this many responses for the subsets too. In closed-ended questions, not giving the respondents all of the possible (or at least probable) response choices. I have seen some situations in which more than 50% of the respondents chose “other” for a particular question. This provides little insight unless you allow the respondents to specify “other” in an open-ended response. Not providing an “other” option as an answer to close-ended questions. Not providing a “don’t know” choice for most close-ended questions. Not having carefully thought through and vetted the category’s and brand’s top attributes, benefits and values before populating them as response choices for a close-ended question. Asking how important “brand” is in selecting a product within the category. Brand will always be rated as less important than more tangible attributes, benefits and values. Not including emotional, experiential and self-expressive benefits and shared values with functional benefits in a close-ended brand benefit importance or brand benefit delivery question. Not carefully thinking through how you intend to analyze the results before you design the survey. Not setting the questions up in a way that allows for easy filtering or reporting of responses. Mixing responses from different populations – such a national consumer panel and a customer list and Facebook fans. Asking people who have little awareness of a particular brand to assess the brand in great detail. They will only be guessing at best. Only ask people to rate the brand with which they are the most familiar. Not including mandatory brand personality attributes (such as trustworthy, innovative and responsive) in the brand personality question choices. Conducting in-depth analysis on a brand that has little to no awareness. How can people react to a brand of which they are not aware and with which they have no experience? Thinking about the XYZ brand, what comes to mind? What makes the XYZ brand superior to or different from the other brands in its category? What is distinctive about the XYZ brand? What would you miss most if the XYZ brand ceased to exist? Not using the most powerful type of chart or graph to make the key points for the responses to each question. Not using the proper/optimal scale for each chart or graph. Presenting results that have so few responses that the responses are meaningless and could even be misleading. I hope this has helped you think about how to create and implement a more robust brand equity study. 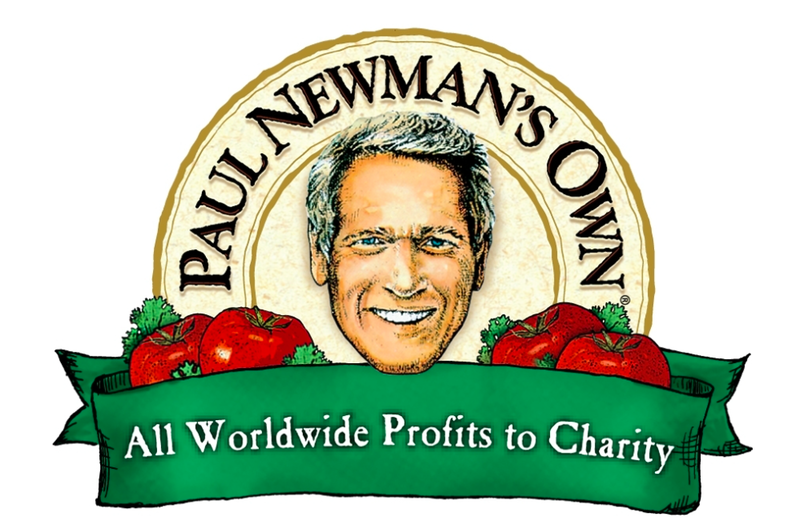 I have served on no less than ten board of directors marketing committees for not-for-profit organizations, having chaired at least half of them. While I really enjoy helping build marketing capacity for those organizations, there is a more selfish motive too. I am constantly exposed to a variety of marketing challenges and issues outside of my brand strategy consultancy and I have the opportunity to solve them with other marketing professionals who are also generous enough to contribute their time and talents. Some organizations use the committees to create and execute their marketing plans while other organizations bring specific issues to the committees to solve, often through brainstorming, which is always energizing and fun. Some organizations expect donated graphic arts and copywriting services among other marketing services. One organization, The Advertising Council of Rochester, has strategic roundtables through which marketing professionals focus for a half day on one not-for-profit organization's specific marketing issue. We ideate ways to solve the issue with maximum impact at minimum cost. The sessions generate dozens of ideas which are then culled down to the most promising ones. As a marketing professional, I highly recommend that you volunteer your time on a not-for-profit organization's marketing committee. You will feel good about the difference that you are making, you will have a chance to network with peers and you will keep your marketing skills finely honed, especially in the context of low cost, high impact marketing activities and approaches. My participation on these committees adds to the experience I gain in working with so many different clients in different industries. It is one of the most rewarding things I do. I am used to developing associative descriptive names that allude to the brand's category and its unique value proposition. I met with someone else today who chose a beautiful icon for her firm's identity. It has no association with the company's name, however. These two recent encounters made me think again about creating names for brands. While I tend to like associative descriptive names such as Amazon.com, Die Hard and Uber, I must admit that sometimes it is the totally unexpected name that breaks through the category's clutter. I have always wanted to name some brand "platypus" as I think the name would stand out and the icon would be distinctive and fun. Why do most street names take a similar form? Why do most law firms follow the same naming conventions? I recently completed a brand identity transformation project for a museum. They chose a visual expression of the name that was devoid of icons focusing on lettering design instead. This followed what other major museums have done as of late. I knew a company founder who created his company's name from the first letters of the first names of his wife and four children. Another person I know named one of his residential real estate developments from the first part of his last name coupled with a part of the nickname his family had given the property when they had personally lived on it. Disruption: inducing radical and sudden change; a radical change in an industry, business strategy, etc., especially involving the introduction or a new product or service that creates a new market. 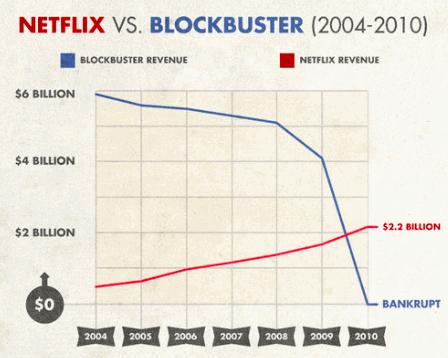 The Internet was perhaps the most disruptive development. Timesharing was a disruptive concept in many industries. Low-cost airlines (Southwest Airlines, JetBlue, etc.) disrupted legacy carriers (United Airlines, American Airlines, etc.). ATMs made it much easier for consumers to bank 24/7. Amazon.com disrupted Borders and other brick and mortar bookstores. Some would claim that Amazon.com is beginning to disrupt Wal-Mart. eBay and Craigslist have disrupted traditional classified ads. Netflix disrupted Blockbuster. Digital photography (invented at Kodak) disrupted Kodak's film-based photography. SmartPhone cameras have changed the way people take pictures. Electronic greeting cards are disrupting traditional greeting cards. CarMax was intended to disrupt traditional used car dealers. Uber is disrupting traditional taxi service. Airbnb is disrupting the hospitality market. SmartPhones have made traditional phones obsolete. They are also making major inroads in the the markets for other computing devices. Match.com, eHarmony.com and other dating websites have changed the way we find romantic partners. Online universities are intended to disrupt traditional colleges and universities. All-electric cars (such as Tesla) will eventually disrupt gasoline powered cars. And more powerful batteries/energy storage will elevate electricity as an energy source. Artificially intelligent medical diagnosis software is projected to radically change the role of the internal medicine doctor. Big data is radically changing the way marketing is executed. Facebook is changing the degree to which customer targeting can occur. Nanotechnology makes devices and components significantly cheaper, faster and more functional. 3D printing will be disruptive to many industries. Photonics is radically changing the traditional semiconductor world. Cloud services are changing the way we back up computers. Crowd sourcing is changing the way people raise money for projects. The Square and similar devices have made it much easier and less expensive for anyone to accept credit cards as a form of payment. Alta Devices is making it easier to embed thin, flexible solar panels into any device or material. Is your brand defined in a way that it can transcend and incorporate disruptive technologies? Or is it so linked to an approach or technology that could be obsolete that it will die with the old approach or technology? Further, are people in your organization willing to make their current approaches or technologies obsolete with the latest disruptive technology or are they fighting the disruptive technology all the way to maximize profits until the business and brand crashes and burns. This is something worth thinking about. An increasing number of brand managers indicate that their brands operate in commodity categories. I first began focusing on this area when I conducted a branding seminar in Dubai, UAE, and was asked by several conference attendees who worked for different energy companies to help them think through how to differentiate their brands so that they could command a price premium. Deliver superior product or service consistency (quality control). Deliver superior responsiveness (order fulfillment, technical support, customer service). Offer a superior range of products and services. Uniquely bundle or unbundle your products and services. Customize your products and services to meet each customer’s specific needs. Identify your most important or profitable customers. 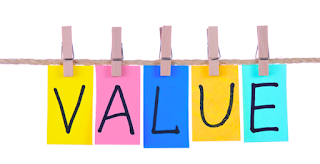 Determine what they value most (through conjoint analysis or a similar technique) and then tailor your products and services to meet their specific needs. Add a differentiating “ingredient” to your brand (ingredient branding). Add unique packaging to your brand. Distribute your brand in a unique or superior way. 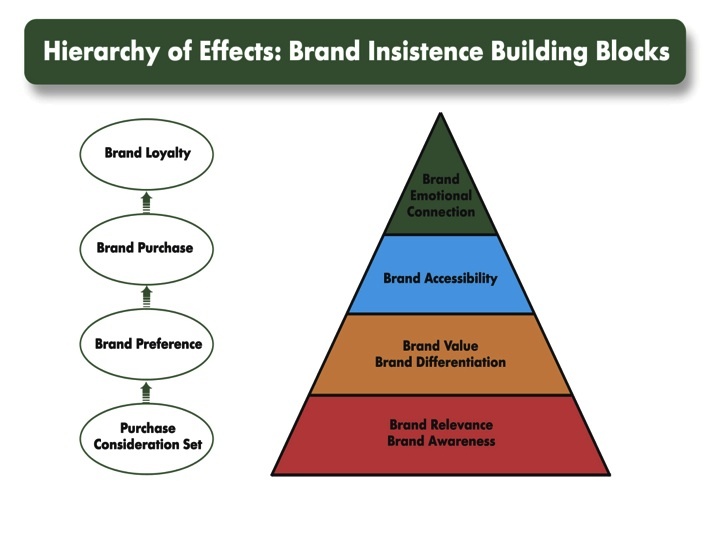 Establish your “brand as a badge,” adding psychological value to its products and services. Create a superior product purchase or usage experience. When all else fails, make superior creative in marketing communication the hero in brand differentiation. To drive home the point that any commodity can be differentiated, I assign “branding water” as a case study. 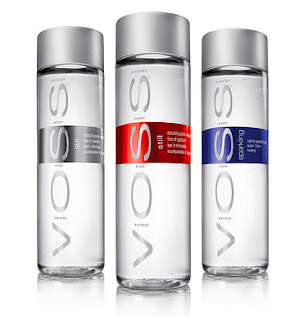 As you know, water, the odorless colorless liquid, is the ultimate commodity. Despite its scarcity in certain parts of the world, 70 percent of the earth’s surface is water and the amount of water in the human body ranges from 50 percent to 75 percent. Furthermore, in most developed countries, water is readily available from public sources and in every home. If you ever run into a brand manager or consultant who indicates that it is impossible to brand something in the “XYZ” category because it is a commodity category, politely thank that person for his or her advice and then apply one or more of these approaches. 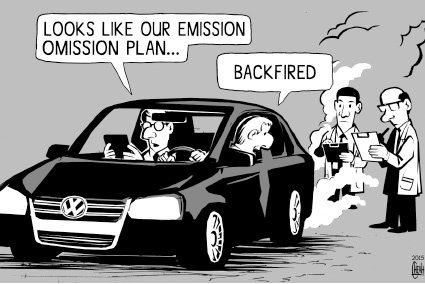 The VW emissions-rigging scandal has brought to light an interesting area of brand management - brand equity transfer. Experts are now discussing whether the VW fall from grace will affect Germany's perception as a country that manufactures reliable, high-quality products, especially in the automotive sector. This is related to the "country of origin" interaction between countries and industries that are closely related to those countries. For instance, when one thinks of watches, Switzerland comes to mind. When one thinks of wine, France and perhaps Italy, Spain, the US, Argentina, Chili, Australia and South Africa come to mind. When one thinks of chocolate, Belgium comes to mind. And when one thinks of automobiles, Japan, the US, Germany and perhaps South Korea come to mind. The same thing happens on a regional or state level. When one thinks of wine in the US, California is the first state that comes to mind. But New York, Washington and Oregon also might come to mind. This can even occur on a city level. When one thinks of fashion, Paris, Rome, New York and Milan often come to mind. A better way to illustrate this is to think about a product category and place that are not linked in people's minds. Consider precision luxury watches from Mexico or fine wine from Kazakhstan or performance automobiles from Cuba or super-yachts from India. None of these combinations will make sense to most people. There are no linkages between these brands. The "country of origin" effect is due to brand equity and association transfer between a place and a product (or service) category. That is, the two brands are linked. Therefore, their associations are linked. This can be a blessing or a curse. As long as both brands are strong and benefit from the linkage, this works. As soon as one of the brands, in this case the place or the product category (or in the case of VW, a brand within the product category) has problems it can harm all of the associated brands. So "country of origin" effect of countries on industries (and vice versa) is a sub-set of brand equity transfer between two brands. Do I think the VW scandal will permanently harm Germany's reputation as a country that produces reliable, well-made automobiles? No, not unless other German automobile brands are also mired in scandals. Can it slightly tarnish Germany's reputation in the short-run? Yes. Those of us who have been entrusted with creating, growing and leveraging brands have a unique opportunity to contribute to a better world. After all, our decisions have far reaching consequences because our brands generally have very large audiences. If you had the choice of growing your brand through fear or pleasure, which path would you choose? I would contend that brands have always been and can increasingly become vehicles for creative expression and ushering beauty into the world. They are also sources of entertainment and a temporary escape from the demands of the day. Further, they can be sources of aspiration and inspiration. 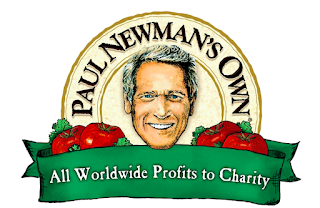 Consider Newman's Own's charitable contributions and Dove's Real Beauty Campaign. Consider Patagonia's environmental ethic. And GEICO's ads are quite entertaining. Those ads have ushered in a whole series of entertaining ads from a variety of insurance companies. Brands would do well to espouse values and demonstrate qualities that make them admirable. As people increasingly look to brands to serve as self-expression vehicles, brands benefit from embodying nobel qualities and standing for something admirable. Consider how you can lift your brand to a higher path to make the world a better place. Identity consistency leads to solid memory encoding and decoding/recall. Frequent changes in identity or inconsistent presentation of identity disrupts this memory encoding/decoding process that is central to brand awareness and association. Predictable brand behavior, product quality and service/experience delivery leads to trust, a very important brand quality. People want to know what to expect with a brand. Variable product quality or service/experience delivery causes them not to trust the brand. Having said this, I believe there is room for brands to be more complicated and nuanced in their personalities, unexpected in their behaviors (as long as it is in a delightful way) and surprising in educational or entertaining ways. Often complex people are the most interesting people. In the same way, complex brands can be some of the most interesting brands. Despite this complexity, the brand still needs to stand for something, have one clear message and maintain its identity consistency for the reasons I articulated above. I am a big fan of proactive publicity and even publicity stunts as an inexpensive way to get the word out about your brand. 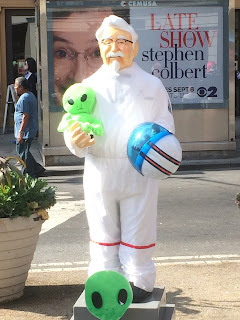 As I was walking near Union Square in New York City this weekend, what did I happen upon? I encountered seven or eight Colonel Sanders dressed in various ways including as a unicorn and in drag with pink hair. What was going on there? 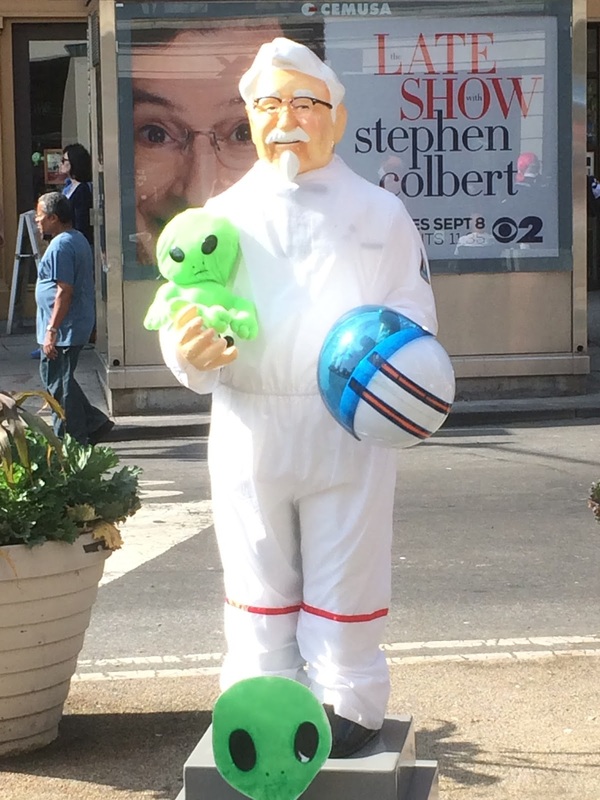 The first thing I noticed happening was lots of people taking pictures of and with Colonel Sanders. I would guess a bunch of those pictures made it to Facebook, Instagram and Pinterest among other social media websites. 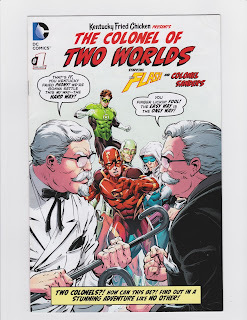 I then discovered a person lingering around with all of the Colonel Sanders passing out DC Comics featuring the Two Colonels. When I asked her about what was going on, she was coy and stuck to her script. 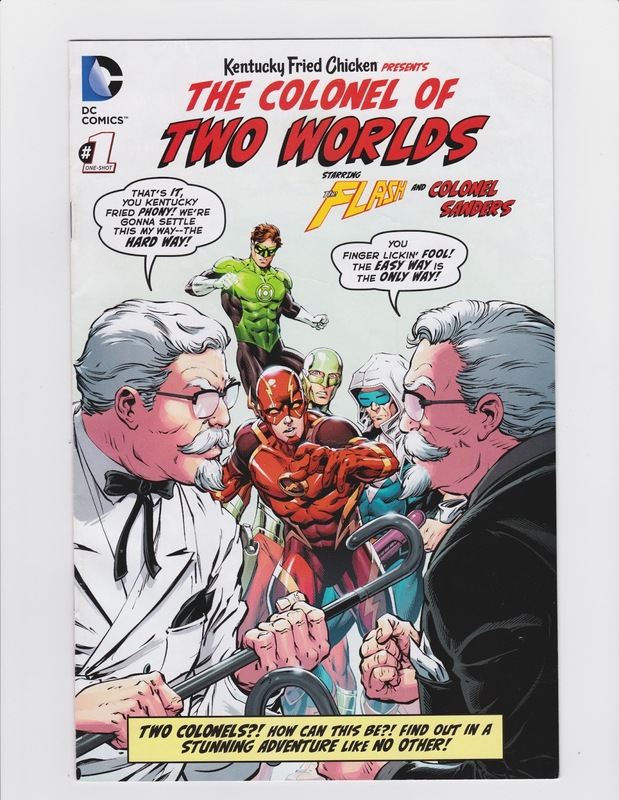 She said that Colonel Sanders had become a DC Comics superhero. Further, she indicated that there might be cosplay events that include Colonel Sanders. Upon searching for Colonel Sanders in costume, I discovered pages upon pages of different websites featuring Colonel Sanders costumes. Now, this is taking a brand's character to a whole new level. I am not quite sure where this is going but my hat is off to KFC for a great publicity stunt in New York City (and I am sure elsewhere). I am writing about this and I am sure I am not the only one. KFC is ubiquitous and anything that aids in creating greater brand awareness and getting more people to interact with the brand in fun ways is advantageous to the brand. It is very important for brands to build mindshare as a first step toward market share. I will begin with a personal example of this. The majority of my clients approach me in the following manner: "I heard you speak at the XYZ conference. After that, I bought your Brand Aid book. I refer to it so often that many of its pages are dog-eared. I have been following your blog for X number of years. And now I have this brand problem. I like the way you think. I knew you could help me with this." That is called mindshare. When your brand is top-of-mind associated with a specific need, benefit or category, or better yet, when it has totally consumed someone's thoughts regarding that need, benefit or category, that is called mindshare. Here are some other examples. Remember when Amazon.com was first introduced? Everyone was talking about it. Jeff Bezos was on the front cover of numerous magazines and you could not pick up a periodical without reading something about Amazon.com. Consider Tesla Motors today. The Tesla Model S earned a perfect 100 rating by Consumer Reports and has been the buzz of almost every other automotive magazine. 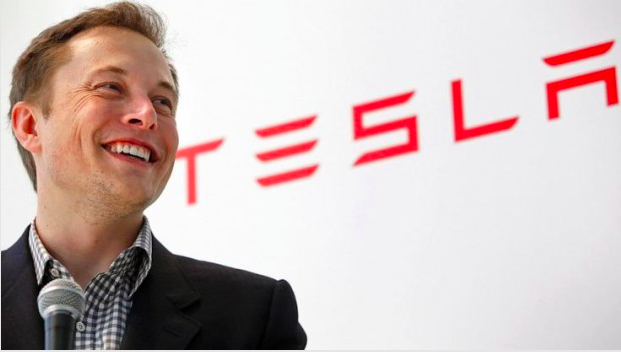 Elon Musk has achieved celebrity status and has been interviewed by dozens of periodicals. Or, how about Donald Trump? Watch any news network, Democratic or Republican leaning, and the presidential candidate that dominates the news is Donald Trump. He seems to be sucking up every other GOP presidential candidate's oxygen. Strong brands must develop mindshare. This typically requires a superior product with a great story to tell but equally as important is the daily blocking and tackling of being in front of people, communicating with them, interacting with them, entertaining them and giving them something of value. The old saying "familiarity breeds contempt" is not generally true. In fact, familiarity usually leads to mindshare and liking. Find as many ways as possible to keep your brand in front of its customers and potential customers day after day. I had an interesting conversation with someone yesterday. She had tried on a dress at a women’s clothing store and really liked the way it looked on her. Curious about the brand, she looked at the label and discovered that it was labeled Ivanka Trump. She told me that she just couldn’t bear wearing something with the Trump name on it so she put it back and left the store without buying it. As a brand consultant, this was interesting to me. Ivanka Trump deliberately chose a label that featured the Trump name so that it could draw from and contribute to the Trump brand equity. As the Trump name is becoming more well known with Donald Trump’s run for the GOP presidential nomination, awareness of the Trump name is increasing but the Trump name is also taking on more positive and negative associations, depending on one’s view of Donald Trump, his values, his personality and his position on issues. So, extending the Trump brand into politics has perhaps made the brand more interesting for some and less palatable for others. The woman with whom I had this conversation really liked the dress itself (the product) but couldn’t stand being associated with Trump (the brand). This is a clear example of how a brand can add to or subtract from the appeal of products or services. In this case, a sale was lost due to the brand name. I suspect that the Ivanka Trump name helps more than it hurts sales as it creates immediate recognition. Having said that, it clearly stands for something other than quality for some people. Any time one extends a brand into a new category (in this case, politics), the brand's associations in that category can have an impact on the brand’s perceptions in other categories. The more extended a brand becomes, the more it needs sub-brands to aid with its extensions. 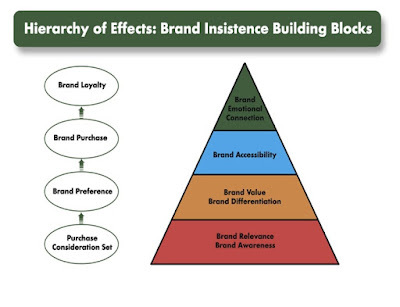 “Purchase intent” tends to be inflated for declining brands and understated for emerging brands. Advertising is often most effective in increasing share of market when brands are so similar that the advertising message is the primary source of differentiation. Excepted from Brand Aid, second edition, available here. I recently advised an MBA student who wanted to work in marketing that she should seek out marketing-driven companies for her first job out of business school, especially if she wanted to learn more marketing skills on the job. Obviously, P&G, Unilever, L’Oreal, Colgate-Palmolive and other large consumer packaged goods companies fit into this category, but what would indicate that other companies are marketing-driven or not? Have you seen national advertising for the brand? Or, if it is a B2B brand, if you have worked in that industry before, have you seen B2B advertising for that brand? Have you heard of their brand(s)? Does the company’s CEO have a marketing background? 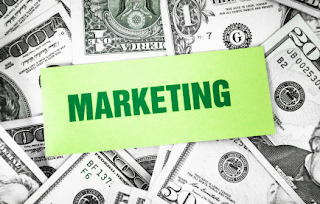 If it is a B2B company, does it spend at least 4 or 5 percent of its revenues on marketing? If it is a B2C company, does it spend at least 8 to 10 percent of its revenues on marketing? Does the head of marketing in the organization report to the CEO or someone else? Is the organization’s head marketing person a C-level executive? How much does the organization spend on marketing research each year? How many focus groups does the organization conduct each year? Is someone in the organization responsible for brand management? Do they measure the equity of their brand each year? Is this through simple third-party brand tracking or a more comprehensive brand equity measurement system? Are brand metrics a part of their balanced scorecard? Ask to see copies of their marketing and brand plans. Do they have an agency of record or at least agency partners? That is, can they name at least one marketing agency with whom they are currently working? Do your interviewers know the difference between sales and marketing? Do they describe brands as something different from either logos/brand identity or marketing communications? If they refer to marketing as “sales support” be very concerned. Are they looking specifically for MBAs with marketing concentrations? Has someone from that company spoken to your school’s marketing club/association? Do they recruit from top marketing MBA programs, such as Northwestern’s Kellogg School of Management, Harvard, Stanford or The Wharton School at University of Pennsylvania? As a young professional in marketing, you will learn the most from companies that are marketing-driven. Taking your first job out of business school at one of those companies will put your career on solid footing and provide you with solid skills that you will be able to use throughout your career. I have written many times about the five drivers of customerbrand insistence – awareness, relevant differentiation, value, accessibility and emotional connection. Today, I will focus on brand value. Value has a numerator and a denominator. The numerator is the bundle of benefits that the brand delivers to the customer. The benefits could be functional, emotional, experiential, self-expressive or even take the form of shared values. And it is often some combination of these. The denominator recognizes that there is some cost to acquiring these benefits. Maybe the cost is monetary but it could also be in terms of time. Time and money generally are the two scarce commodities in people’s lives. So brand value is the ratio of benefits to costs. A brand can deliver an outstanding value, a good value, an adequate value, a poor value or a value somewhere else along this continuum. Ultimately, brand value is a perception. It is a perception of the ratio between benefits and cost. Obviously, the more valuable the benefit, the more one will overlook the cost. Consider the time-constrained person who is always complaining about being too busy and not having enough time. Even that person will take time out to do something that she enjoys. In fact, the more engaging the experience, the more she loses track of time. Let’s take one example of a brand that delivers a good value – Amazon.com. What are some of its benefits? How does Amazon.com fare on the cost side? First, let’s consider its time saving tactics. So, compared with many other shopping options, Amazon.com delivers superior value. Interestingly, it also delivers well on the other four drivers of customer brand insistence – awareness, relevant differentiation, accessibility and emotional connection. I have outlined this in an Entrepreneur magazine article and my Brand Aid book. While most brand managers focus on creating brand differentiation, establishing a consistent brand identity and building brand awareness, they should not lose sight of the importance of delivering a good brand value. I hope this article has helped you think though how to better do that.